In 1940, Georgia O'Keeffe purchased a home and 7 acres at Ghost Ranch. designed the Ghost Ranch logo? "Rancho de los Brujos" it was called; "Ranch of the Witches,"
for this land is "Ghost Ranch," and the logo is a cow's skull. by an animal skull long before Arthur Pack bought the ranch in 1936. Navaho named Juan de Dios, had a pet steer of which he was very fond. When it died he gave the animal's skull to O'Keeffe for her collection. as a gift. 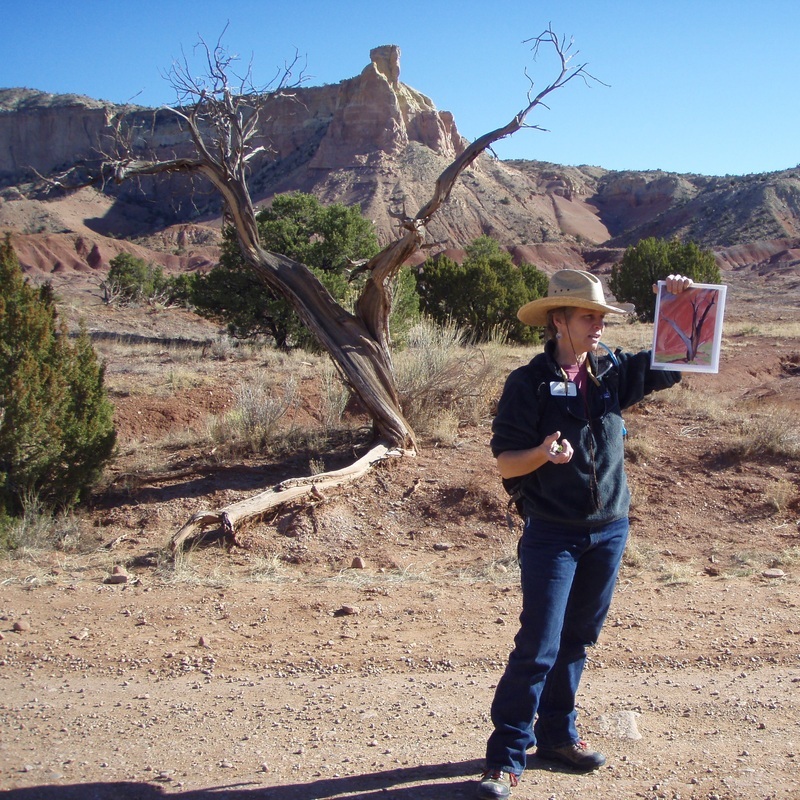 He promptly adopted the artwork as the logo for Ghost Ranch. Arthur Pack gave Ghost Ranch to the Presbyterian Church who, for a time, used a sketch of Chimney Rock as a logo. By 1971, partly at O'Keeffe's suggestion, her familiar skull design was firmly established as the official Ghost Ranch logo.